Over 150 people – alongside a number of parliamentarians – crammed into a packed meeting at the House of Commons to hear an inspirational talk by Aleida Guevara, daughter of Che Guevara. She spoke about her father, the ongoing blockade of Cuba and the Miami Five’s continuing struggle for justice. On the blockade, Aleida said that Cuba understands the America’s “right not to trade with us, but what is unacceptable is that the US tries to stop other countries from trading with us”. Denying Cuba the right to trade with its closest neighbour significantly increases the cost of imports and means that Cuba often has to travel around the world to do business with third countries. “Since the blockade has not been enough to destroy the unity of the Cuban people and the revolutionary process, the US administration has tried a mixture of military and biological warfare against Cuba,” said Aleida. Furthermore, Cuban-Americans in Florida have been used to undermine Cuba’s sovereign government. It was precisely for these reasons that Cuba sent the Miami Five to collect information on terrorist groups operating out of Florida. Aleida condemned their trial and their ongoing imprisonment. Despite struggling against economic blockade, biological warfare and terrorism, Cuba has built a society founded on the principles of free education, healthcare and unparalleled internationalism. It is able to send tens of thousands of doctors abroad and has led literacy campaigns across the under-developed world. A number of politicians spoke alongside Aleida as they welcomed her to parliament. Michael Connarty MP reflected on his long-standing affinity with progressive movements in Latin America and Che Guevara in particular. “When I was young, I grew my hair and had a beard to feel like I look like Che Guevara. Looking back, I looked more like Rasputin,” he quipped. 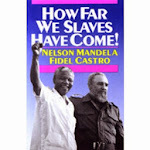 He praised ordinary Cubans and their commitment to social justice in the face of Western intervention. “The commitment and determination of the people – despite being crushed by blockade led by capitalist nations – is incredible. They are still determined to see the revolution through to create a better world”. A number of years ago, Michael Connarty became the first MP to sponsor an Early Day Motion (EDM) in support of the Miami Five and last week tabled EDM 497 which calls for visitation rights to be granted to Adriana Perez and Olga Salanueva to see their husbands, Gerardo Hernandez and Rene Gonzalez. 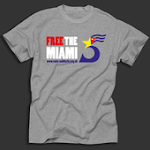 “What was the crime of the Miami Five? To protect their country. We give people medals for that,” Michael lamented. Cathy Jamieson MP spoke about her experience of being involved in a CSC local group before entering parliament and – once elected – how she felt it was her “duty to do what I could to highlight the issues around Cuba, particularly the blockade which has lasted 50 years”. Cathy spoke about how she has helped to re-establish the All Party Parliamentary Group on Cuba and the recent IPU parliamentary delegation to the Caribbean island which “signal that parliamentarians from lots of parties are interested in Cuba and the issues facing the island”. The delegations was reminded of Robert Owen as they learnt about the co-operative movement in Cuba and the process of common ownership. She emphasised that there is a “committed group of politicians in the Commons and the Lords who will continue to raise concerns around the blockade and the Miami Five” and echoed Michael Connarty by urging all those in attendance to write to their MPs to sign EDM 497. Baroness Angela Smith, Chair of the APPG on Cuba and Vice-Chair of CSC, thanked Aleida for her attendance and called on the solidarity movement in the UK to increase pressure in support of the Miami Five and in opposition to the blockade and, in particular, the EU Common Position. Angela reflected on the recent parliamentary delegation to Cuba where the UK solidarity campaign is widely recognised as “the best in the world”.